Set on a beautiful tree-lined street and gorgeous level lot is this spectacular home that boasts 5,936/- sq. feet of living space and has 12-rooms exquisitely designed to fit todays lifestyle. Features include a stunning foyer, living room, formal dining room, office with French doors, chefs kitchen with top of the line stainless steel appliances and wonderful family room with fireplace that opens to a huge level yard with patio. Fantastic staircase leads to a second floor master suite with full bath featuring stone flooring/countertops, lovely soaking tub, and spa-like shower, walk in closet, fireplace & deck plus three additional bedrooms and two full baths and laundry. Bonus third floor with recreation room, bedroom and full bath. Lower level includes a playroom and half bath. Over sized two car garage. 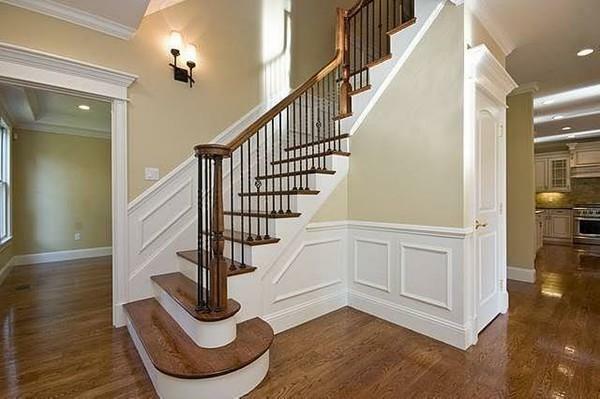 High ceilings, hardwood flooring. Around the corner from the T and Newton Highlands. A true gem! Listing courtesy of Jamie Genser of Coldwell Banker Residential Brokerage - Brookline. Listing provided courtesy of Jamie Genser of Coldwell Banker Residential Brokerage - Brookline.